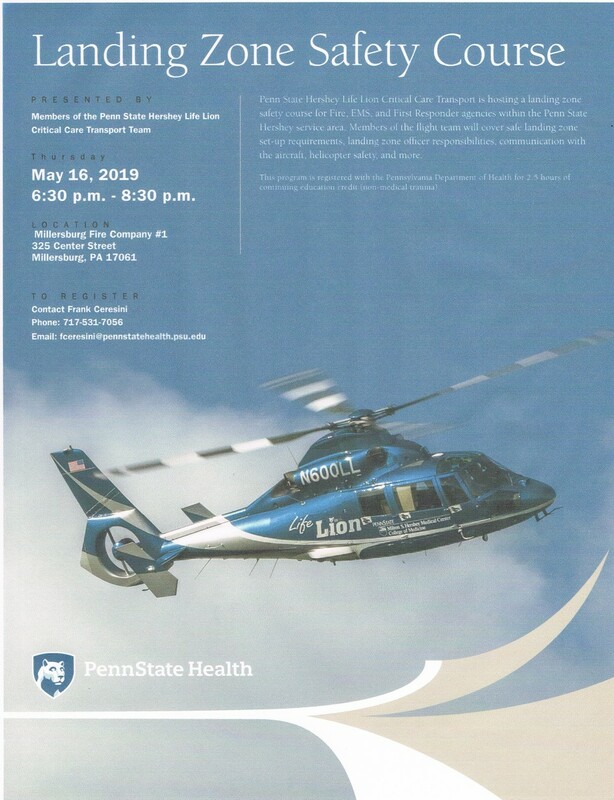 The Millersburg Fire Company #1 will host a Life Lion Landing Zone Class at the Millersburg Fire House on May 16, 2019. The class instructs first responders on how to set up a safe Landing Zone, and safety while working around air medical helicopters. The class will be conducted in the Social Hall starting at 1830. A helicopter will be landing depending on weather and availability of the helicopter .